In this interview Cecilia Dougherty describes her work and her explorations into family interactions, outsider psychology, role-playing, lesbian sexuality, and popular culture. 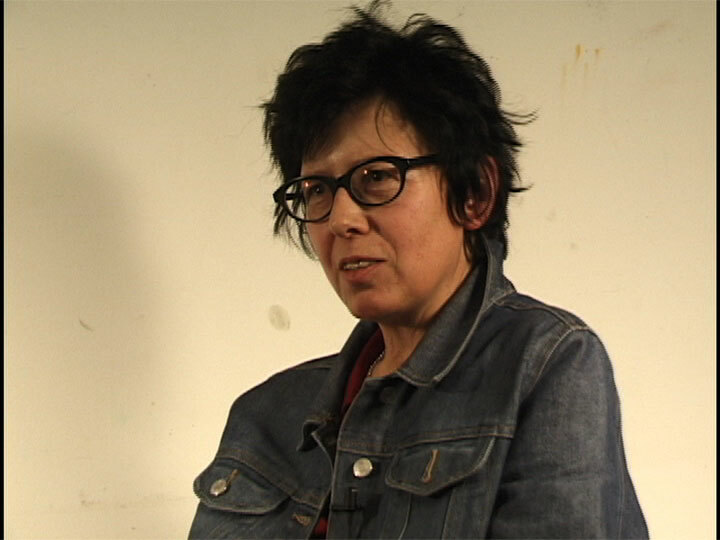 Her videos Grapefruit (1989) and Coal Miner’s Granddaughter (1991) work from within mass culture norms to create a lesbian dialogue within the “normal”—what Dougherty calls “the life of the ordinary lesbian and her working-class family.” Her more recent vides explore lesbian identity within a separate social sphere. Interviewed by Amy Sillman in 2003, edited in 2013.